The store graphics seamlessly integrate into the space, helping to define and delineate core product areas. The lifestyle graphic program added a final layer of warmth to the environment. Barrett’s Home Theater is a 14,300 square foot independent home entertainment store. 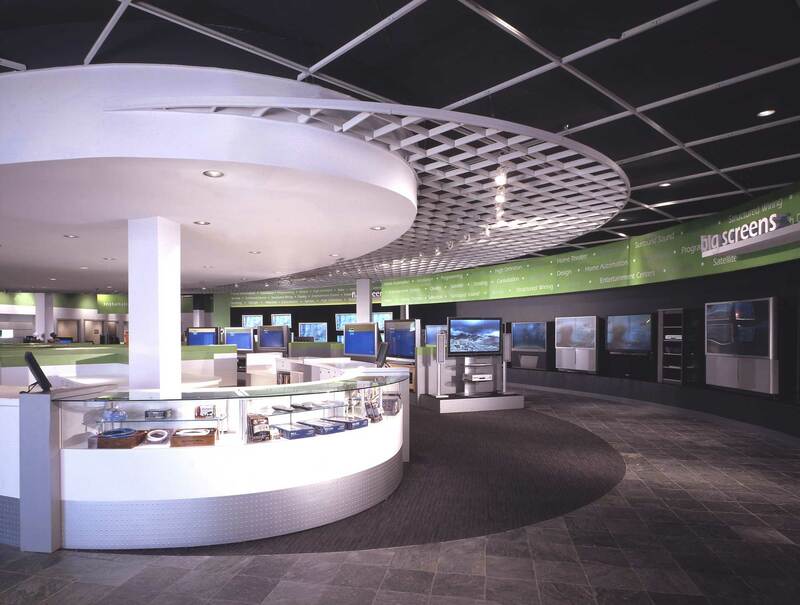 To gain visibility in a very competitive electronics market, Barrett’s wished to create a unique lifestyle shopping experience and build word-of-mouth enthusiasm for Barrett’s in the Western Suburbs of Chicago. Once customers are in the store, a distinctive merchandising process and knowledgeable sales staff would present a successful edge for this venture. 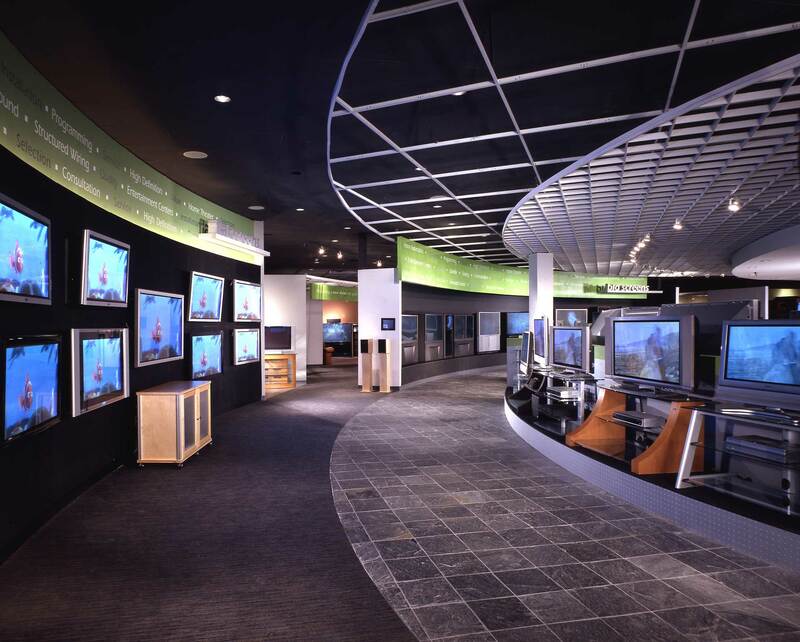 The organization of the retail environment is key to its ease of navigation as the store plan is a linear progression of products in an elliptical shape that flows from flat screens to complete home theater systems. Total home entertainment rooms with furniture, residential lighting, and décor accessories replicate the systems, as they would appear in a customer’s home. The core of the store plan, featured in bright white, is the sales, service, and financial heart of the business. The desks and counters are custom fabricated to maximize the functionality and create a distinct look.